Earlier this year I wrote my first opera. I know. I’m as surprised as anyone. 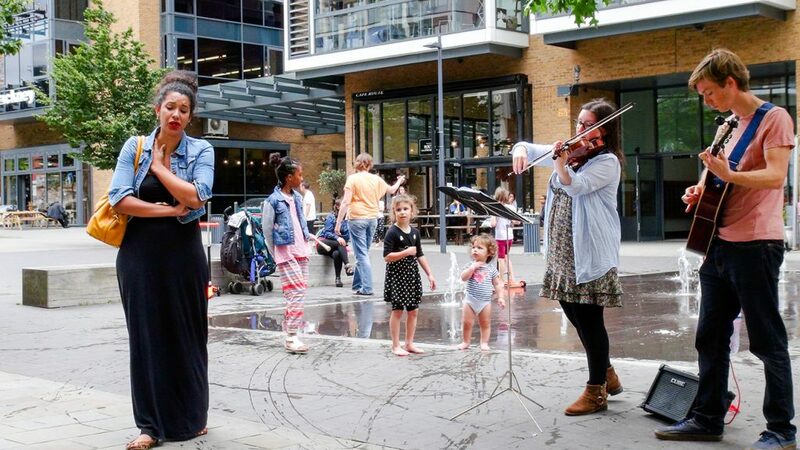 Opera isn’t a form I have a huge amount of experience in, so I was terrified and excited in equal measure when Baseless Fabric approached me to work with them on a new promenade opera based on the real lives of Londoners. Drifting Dragons was the resulting work and it had 12 outdoor performances across the borough of Merton and also in Dalston at Arcola Theatre’s Grimeborn Festival. We have been trying to arrange to make a studio recording of the opera for a while and I’m delighted to announce that – if everything goes to plan – we hope to achieve this before Christmas. So with a bit of luck I will be able to share recordings of the 50-minute work with you before too long.